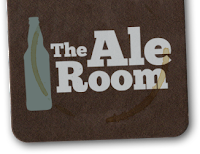 The Ale Room appeared on the beer scene near the end of last year and sent through a cracking selection of the ales that they stocked at that time. Well they've not waited around and have been slowly expanding their selection seeking out the more interesting ales out there. They have sent through four more ales for baron ratings and I'd be surprised if you didn't want to try each and every one of these! Check out the size of this bad boy!